The American Cranberry Viburnum is a very handsome deciduous shrub suitable for gardens even in the coldest parts of the country. It will grow even in zone 2, and all the way into zone 7. It has lobed leaves that turn purple and red in fall, and grows between 8 and 12 feet tall, and as much across. It is an ideal choice for all kinds of gardens, from more formal to wild gardens. 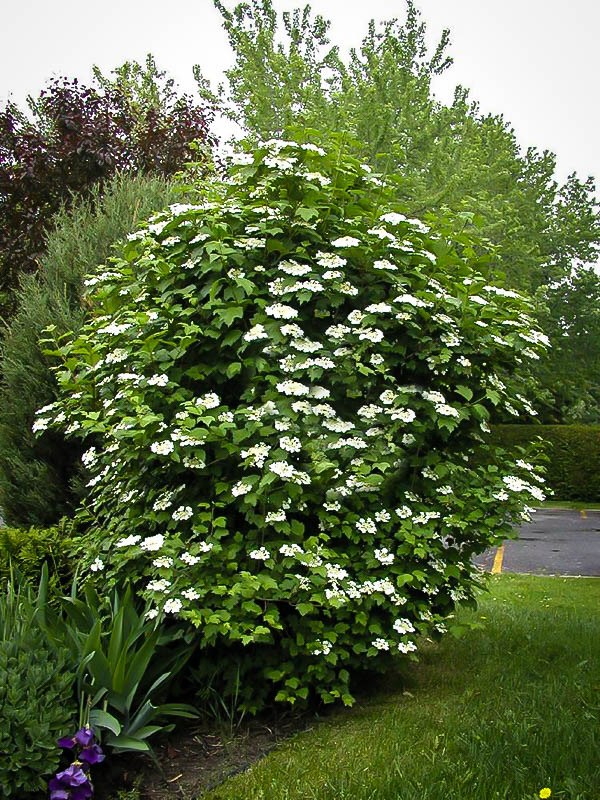 It is a North American native shrub, growing all through the north-east, so if you want to grow native species, instead of aliens with the potential for damaging the local environment, this shrub is the perfect choice. In spring it is covered in white flowers, followed by bright red berries in fall. These can be made into jams and jellies. The American Cranberry Viburnum grows in full sun or partial shade, so it is useful in many parts of the garden. In colder regions in blooms and fruits best in sun. It will grow in almost any kind of soil that is not constantly dry. Established plants can tolerate moderate summer dryness, but keep new plantings watered regularly. The flowers are popular with butterflies and other insects, and the berries are a useful winter food for many kinds of birds. 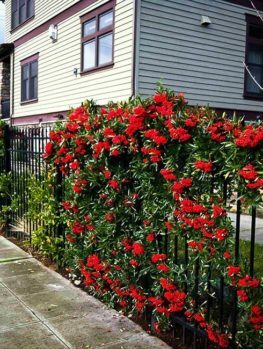 This low-maintenance shrub can be left to grow naturally, or pruned in spring for a neater, more formal appearance. There is something quintessentially fall-like about shrubs laden with berries. Along with brilliant fall color, they end the season with a wonderful display, and shrubs that have good berries are always top choices for any diverse and well-designed garden. Combine that need with the wish to grow native plants, not alien species, and the answer is the American Cranberry Viburnum. The American Cranberry Viburnum (Viburnum trilobum) is a close relative of the European and Asian viburnum called Viburnum opulus. Many authorities consider it simple a form of that plant, and they call it Viburnum opulus var. americanum. It grows all across the colder parts if North America, from Newfoundland to North Dakota, and south into Ohio. It is found in more isolated areas west as far as British Columbia and south into northern Virginia all across to Washington state. It grows naturally in wooded areas, along streams and beside lakes. The American Cranberry Viburnum is a broad, upright shrub growing over 8 feet tall, and sometimes as much as 12 feet tall. It is a little wider than its height, so it fills spaces in the garden very effectively. It is deciduous, with leaves that are 3 to 5 inches long, and 2 to 4 inches wide. 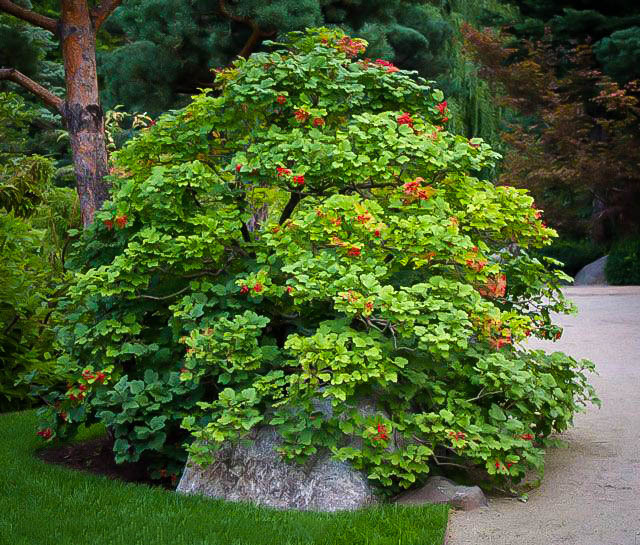 They are distinctly wrinkled on the surface, with pronounced veins, the leaf looks a little like a maple leaf, with three lobes, as the word ‘trilobum’ in its Latin name suggests. The leaves are green, and in fall they turn attractive shades of purple and red, bringing more color to your fall garden. In spring flat-topped clusters of white flowers appear, about 3 inches across, and these can cover the bush, making a very attractive display. They resemble miniature versions of lace-cap hydrangea flowers. 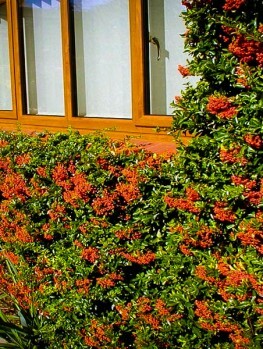 The flowers develop over summer into hanging clusters of bright-red berries which make a great show in fall. The American Cranberry Viburnum is very cold-hardy, and it will grow well even in zone 2. Gardeners in northern areas treasure it for that, and for its natural beauty. It will grow in full sun, especially in cold places, or in partial shade anywhere. This makes it ideal for planting in open woodlands or under large trees. 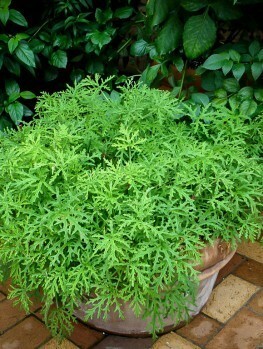 It grows well in all kinds of soil, including clay, and does best with a regular supply of water. Established plants will tolerate the normal summer drought conditions of northern areas. Although there are reports of damage by the Viburnum leaf beetle, this is more of a problem in Canada than in the United States, and plants will usually be pest and disease free. Because this is a native shrub, numerous insects and birds use it for food. Butterflies will visit the flowers, and birds will use the berries as winter food, although they do leave them for some weeks until the hard winter arrives. Although it is not a cranberry, that doesn’t mean the fruit is not edible. Too bitter to eat fresh, they do make interesting jams and jellies, and these berries was picked and used by the pioneers. Your American Cranberry Viburnum will benefit from regular pruning each spring, especially if grown in a more formal garden setting. Wait until the buds begin to sprout, so you can easily see any dead wood. Begin by removing all dead shoots and old berry clusters. Cut back young stems to the first large, vigorous buds, and remove one quarter to one third of the oldest branches each year. 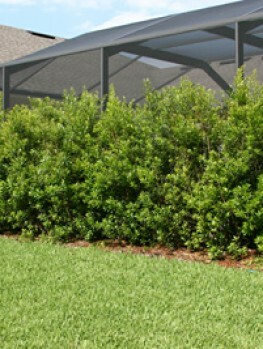 This will keep your bushes healthy and vigorous, full of new shoots, flowers and berries. 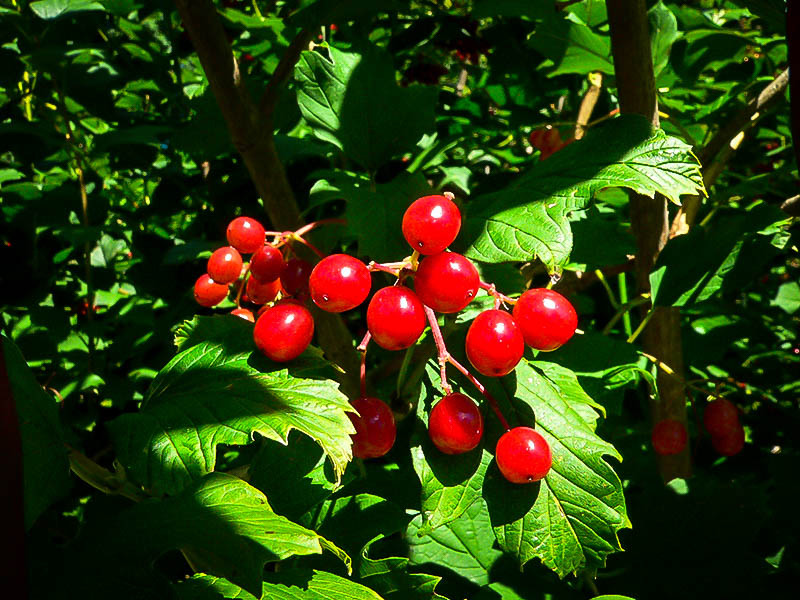 Although not a true Cranberry, the American Cranberry Viburnum, also called high-bush cranberry, is a terrific shrub to use in many parts of the garden. 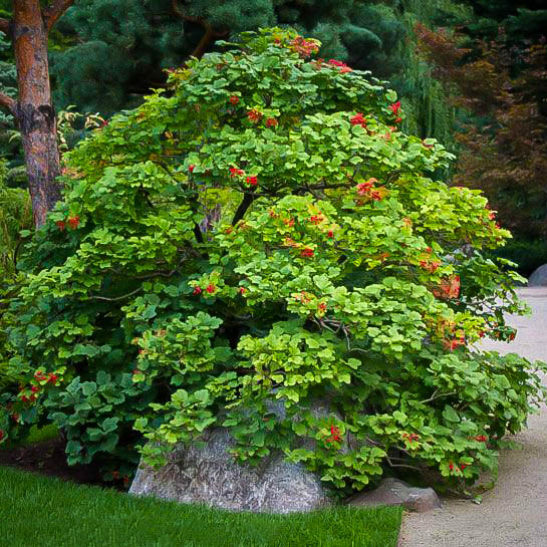 It grows between 8 and 12 feet tall, so it is the perfect height for a backdrop planting behind other, smaller shrubs. It is perfect in a row for an informal screen, between one part of the garden and another, or around your property line. It is more than handsome enough to fit into a well-manicured, more formal garden, and casual enough to work well in a less formal or even a wild garden. 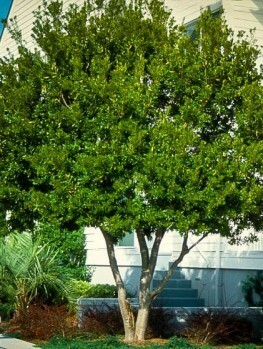 If you have natural wooded areas, this native shrub is a perfect addition. If you want to fill your garden with plants that grow wild in North America, rather than exotic, alien species, this is a true American plant. Our plants are grown for us from stem pieces taken from sturdy examples of this plant. Seedling plants may be cheaper, but they are variable in size and vigor, while stem-rooted plants are uniform and always vigorous. This plant is especially popular with our clients from northern states, so we will not have this top-quality stock in our nursery for long. Order right away to enjoy one of the best native shrubs you can grow. We invite you to browse our collection of other unique shrubs, to add more variety to your garden.